According to Mukhande Singh, the founder of a company called Live Water, “You’re drinking toilet water with birth control drugs in them” if you’re getting your H2O from a tap. Singh is part of a growing movement that believes in something called “raw water,” which essentially means water from off-the-grid sources including natural springs, rain and supposedly pristine aquifers. Proponents of raw water include many prominent Silicon Valley entrepreneurs and health activists. They claim that public water supplies are often hopelessly contaminated by lead and chemical additives like fluoride. 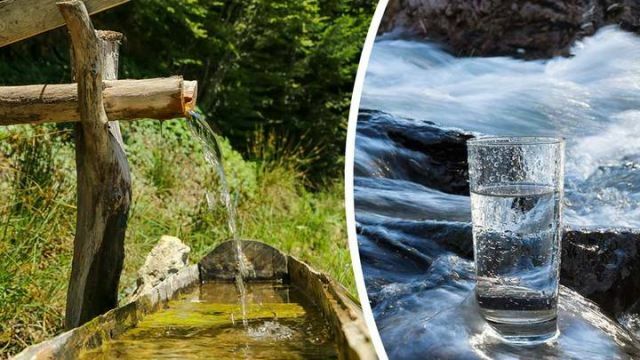 They also believe that tap water has been so extensively treated and filtered that it no longer contains beneficial minerals and microorganism. Most public water is treated and filtered (as is most bottled water). Filtration methods used include UV light, ozone gas and chloramine disinfection. Adherents of raw water, however, believe that those techniques kill healthy bacteria (which are good for your digestive health). The end result, they insist, is “dead water,” which lacks both the taste and health benefits of the real stuff. Another big issue for advocates of raw water is fluoride, which has been added to public water supplies since the 1950s to help prevent cavities. Most scientists insist that the fluoride is safe at the levels it is added (and that it is effective in reducing tooth decay). Raw water is expensive and has a short shelf life. A gallon of the stuff can easily fetch $20 or more and it will turn green (on account of the natural algae in it) within a month or two. Right now, the evidence is scant as far as the health benefits of raw water go. In fact, contaminated drinking water causes more than 500,000 deaths worldwide every year according to the World Health Organization. Both science and history suggest that getting sick from raw water appears to be a clear and ever-present risk while the benefits of raw water are far murkier. Would you drink raw water? Let us know in the comments! Hey Buddy!, I found this information for you: "Should You Buy Into The Raw Water Craze?". Here is the website link: https://www.thealternativedaily.com/should-you-buy-into-the-raw-water-craze/. Thank you.